It’s been said that great design never goes out of style, and we’d like to share some evidence of that claim. Given our interest in all things related to curtain tracks, we’ve come across an interesting piece of history regarding a classic curtain track design. In England during World War II, it became increasingly important for residents to be in a perpetual state of readiness for air raids. At night, people’s lives depended on blacking out any light visible outside homes and offices for fear that the light would serve as a target during bombing raids. Curtains and the accompanying tracks served an important role in helping to mask these structures after nightfall. 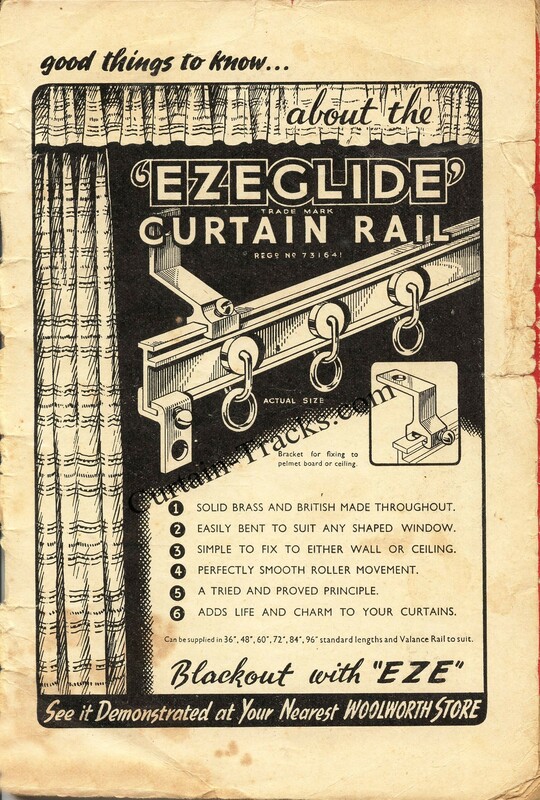 As a result, the curtain tracks shown below in this Woolworth (or as the Brits commonly referred to is, Woolies) advertisement from 1940 highlight the ability to “Blackout with EZE.” In fact, these curtain tracks (or rails as they were commonly referred to) were one of the few metal items that continued to be made available to consumers during the height of the war as raw material shortages became an issue for manufacturers. What is equally interesting is the product design itself. You may notice that it is quite similar to the RECMAR 4108 I beam track and 4121 wheel carriers that are still popular today. There are certainly differences in materials (brass versus aluminum, and brass wheels on the carriers versus today’s nylon versions), but the overall design is quite close. The reason this design is still quite popular is that the curtain track can be hand bent to form angles and curves without the need for any special tooling or expertise. 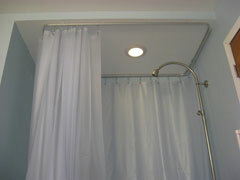 It can also be bent to a very tight radius (2 inches) compared with all other curtain tracks on the market today. 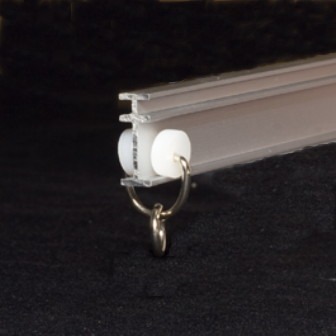 This makes it great to be used for applications like shower curtain track, wrap around windshield privacy curtains in RVs and trucks, and in residential bay windows. We hope you enjoyed this short trip with the Curtain-Tracks.com WayBack machine! As we come across other historical finds, we will certainly share them. If you have any to pass along, we' would love to see them.